How to Pick an International Mutual Fund? Why to Invest in International Mutual Funds? How to Invest in International Mutual Fund Online? International Mutual Funds are funds that invest in foreign markets except for the investor’s country of residence. On the other hand, global fund invest in foreign markets as well as the investor’s country of residence. International Mutual Funds are also known as “foreign fund” and are a form of the ‘fund of funds’ strategy. International Mutual Funds have become an attractive investment option for investors in the past few years due to the volatile local markets and an economy going through its ups and downs. With the permission of Reserve Bank of India (RBI), International Mutual Funds opened up in India in 2007. Each fund is allowed to get a corpus of USD 500 million. International Mutual Funds follow a master-feeder structure. 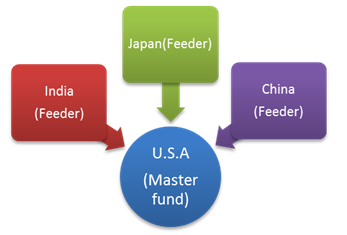 A master-feeder structure is a three-tier structure where investors place their money in the feeder fund which then invests in the master fund. The master fund then invests the money in the market. A feeder fund is based on-shore i.e. in India, whereas, the master fund is based off-shore (in a foreign geography like Luxembourg etc). *Funds having net assets of 10 crore of more and sorted on last one year return. Reliance Us Equity Opportunites Fund is a Equity - Global fund was launched on 23 Jul 15. It is a fund with High risk and has given a CAGR/Annualized return of 11.9% since its launch. Return for 2018 was 7.7% , 2017 was 16.9% and 2016 was 8.2% . ICICI Prudential US Bluechip Equity Fund is a Equity - Global fund was launched on 6 Jul 12. 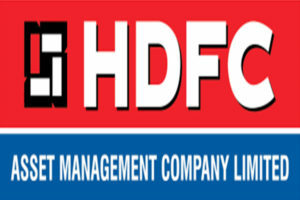 It is a fund with High risk and has given a CAGR/Annualized return of 16.3% since its launch. Ranked 7 in Global category. Return for 2018 was 5.2% , 2017 was 14.1% and 2016 was 11.6% . 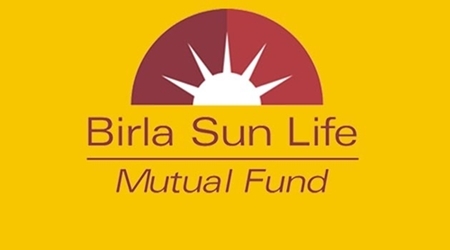 Aditya Birla Sun Life International Equity Fund - Plan A is a Equity - Global fund was launched on 31 Oct 07. 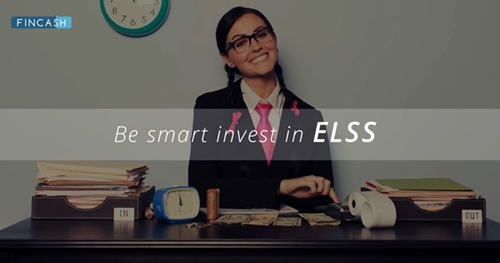 It is a fund with High risk and has given a CAGR/Annualized return of 6.8% since its launch. Ranked 36 in Global category. Return for 2018 was 4.1% , 2017 was 13.5% and 2016 was -2.1% . Vineet Maloo 31 Oct 07 11.26 Yr.
ICICI Prudential Global Stable Equity Fund (the Scheme) is an open-ended fund of funds scheme that seeks to provide adequate returns by investing in the units of one or more overseas mutual fund schemes, which have the mandate to invest globally. Currently the Scheme intends to invest in the units/shares of Nordea 1 – Global Stable Equity Fund – Unhedged (N1 – GSEF - U). The fund manager may also invest in one or more other overseas mutual fund schemes, with similar investment policy/fundamental attributes and risk profile and is in accordance with the investment strategy of the Scheme. The Scheme may also invest a certain portion of its corpus in domestic money market securities and/or money market/liquid schemes of domestic mutual funds including that of ICICI Prudential Mutual Fund, in order to meet liquidity requirements from time to time. ICICI Prudential Global Stable Equity Fund is a Equity - Global fund was launched on 13 Sep 13. It is a fund with High risk and has given a CAGR/Annualized return of 7.8% since its launch. Ranked 10 in Global category. Return for 2018 was -0.9% , 2017 was 7.2% and 2016 was 7.3% . The primary investment objective of the Scheme is to seek capital appreciation by investing predominantly in units of BlackRock Global Funds - World Agriculture Fund (BGF - WAF). The Scheme may, at the discretion of the Investment Manager, also invest in the units of other similar overseas mutual fund schemes, which may constitute a significant part of its corpus. The Scheme may also invest a certain portion of its corpus in money market securities and/ or money market/liquid schemes of DSP BlackRock Mutual Fund, in order to meet liquidity requirements from time to time. However, there is no assurance that the investment objective of the Scheme will be realized. It shall be noted ‘similar overseas mutual fund schemes’ shall have investment objective, investment strategy and risk profile/consideration similar to those of BGF – WAF. DSP BlackRock World Agriculture Fund is a Equity - Global fund was launched on 19 Oct 11. It is a fund with High risk and has given a CAGR/Annualized return of 6.8% since its launch. Ranked 30 in Global category. Return for 2018 was -8.8% , 2017 was 4.1% and 2016 was 10.7% . expected amount after 5 Years is ₹323,701. DSP BlackRock Global Allocation Fund is a Equity - Global fund was launched on 21 Aug 14. It is a fund with High risk and has given a CAGR/Annualized return of 4.3% since its launch. Ranked 26 in Global category. Return for 2018 was -1.3% , 2017 was 4.9% and 2016 was 4.4% . expected amount after 5 Years is ₹349,120. Laukik Bagwe 21 Aug 14 4.45 Yr.
Jay Kothari 21 Aug 14 4.45 Yr. This type of mutual fund invests in emerging markets like India, China, Russia, Brazil etc. China has surpassed the USA to be the world’s largest car manufacturer. Russia is a big player in natural gas. India has a fast-growing service economy base. These countries are expected to grow tremendously in the coming years making them a hot choice for investors. Some of the best international mutual fund schemes that invest in emerging markets are Birla Sun Life International Equity Plan A, Kotak Global Emerging Market Fund and Principal Global Opportunities Fund. Developed market funds are an attractive option because it is generally seen that mature markets are more stable. Also, they do not have the problems associated with emerging markets like an economy or currency risk in the economy, political instability, etc. making them less risky. Some schemes that invest in developed markets are DWS Global Thematic Offshore Fund etc. As the name suggests, this type invests only in a specific country or part of the globe. But, country-specific funds defeat the entire purpose of diversifying the portfolio since it lays all eggs in one basket. However, when there are opportunities in specific countries due to various reasons, these funds become a good choice. Reliance Japan Equity Fund, Kotak US Equities Fund and Mirae Asset China Advantage Fund are some country-specific schemes. These funds invest in commodities like gold, precious metals, crude oil, wheat, etc. Commodities offer diversification and also act as an Inflation hedge, thus protecting the investors. Also, these funds could be multi-commodity or focused on a single commodity. 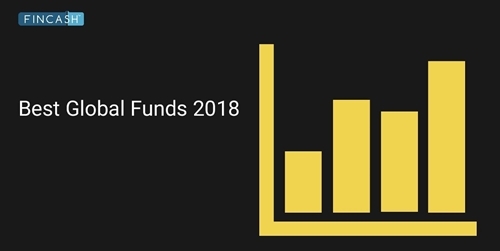 Best commodity based international mutual funds are DSP Black Rock World Gold Fund, ING OptiMix Global Commodities, Mirae Asset Global Commodity Stocks, Birla Sun Life Commodity Equities - Global Agri Fund, etc. Theme based funds or thematic funds invest in a particular theme. For example, if the theme is infrastructure, it would invest in infrastructure construction companies as well as companies related to the infrastructure business like cement, steel, etc. They are often confused with sectoral funds which focus only on a specific industry. For example, pharmaceutical sectoral funds would only invest in pharma companies. Compared to sector funds, thematic funds are a broader concept. This offers more diversification and less risk since the investment is spread across various industries. Some theme based funds are DSPBR World Energy Fund, L&T Global Real Assets Fund etc. 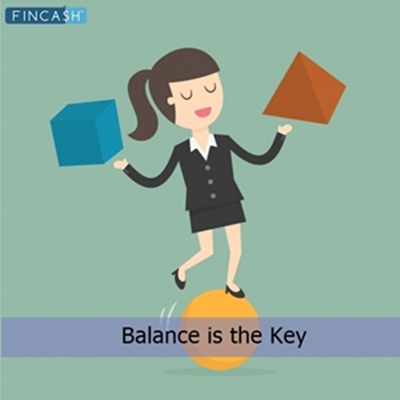 There are certain things to be kept in mind while choosing a suitable fund. The main motive of Investing in International Mutual Funds is diversification. Diversification helps in optimising the returns and reducing the overall risks of a portfolio. Low or negative correlations between investments make sure that the returns are not dependent on only one sector or economy. Thus, balancing the portfolio and protecting the investor. You can give a global edge to your portfolio by making a direct investment in foreign markets through equities, commodities, real estate, and exchange-traded funds (ETFs) as well. Buying units of an international mutual fund are much easier and they also provide the expertise of the fund manager which is not available in the other investing avenues. International mutual funds help in expanding the investor horizons beyond the domestic boundaries. Also, investing internationally helps set-off any losses that the investor may have incurred in the domestic market. International Mutual Fund schemes determine the NAV (Net Asset Value) of the fund by using the prevailing exchange rate. The exchange rates fluctuate every day, or more so, every minute. This means that for a scheme investing in US Dollars, the NAV of the scheme would be impacted as per the dollar-rupee movement. It is observed that the more the rupee depreciates, the higher are the gains. This makes international mutual funds even more attractive since the rupee is going downhill now. If the investor wants to take complete advantage of another country’s growth, international mutual funds are the way to go. But the flip side of this would be that the portfolio is dependent solely on one economy. Hence, increasing the risk factor. 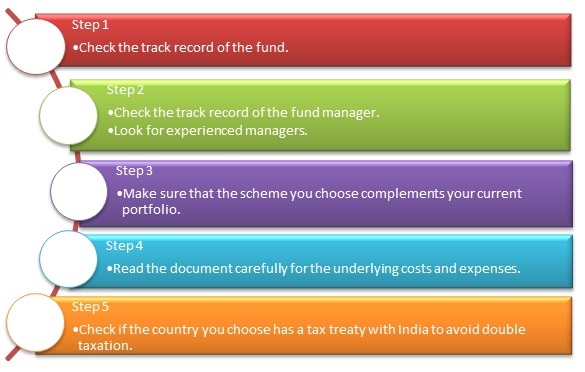 Tax treatment of international mutual funds in India is similar to that of Debt fund. If the investor holds the investments short term i.e. less than 36 months, they will be included in his total income and will be taxed as per the applicable slab rate. If the investments are held for more than 36 months, the investor is then eligible for indexation benefits. Any gains arising from the schemes will be taxed @ 10% without indexation or 20% with indexation. According to experts, an investor should have around 10-12% of the portfolio invested in international mutual funds. So with the basics covered now, start building up that portfolio with international mutual funds today. ☆☆☆☆☆ Rated 4.3, based on 29 reviews.